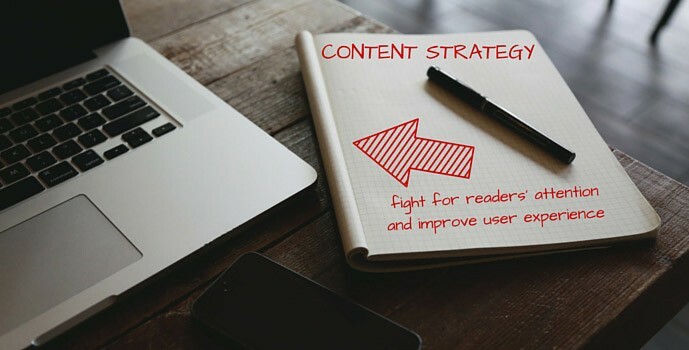 “The Web is a battlefield,” and Jeff Stevens, who manages Web content for UF Health, urges PR professionals to fight for readers’ attention and to improve user experience. Stevens gave the following tips for writing persuasive Web content during a breakout session at the 2015 FPRA Annual Conference. Pare down. Cut content. Most people (79 percent) just scan Web pages and are not reading all the content on your site. Most organizations put too much content on the Web, and it’s redundant, outdated or trivial. Clearer paths and easier navigation make for better user experience and easier maintenance. Analyze content. Look for consistency of message, relevance, multiple access paths and information trails. Think from a “mobile first” perspective. Shrink data for at-a-glance reading. Target your efforts. Think about what will have the most impact, and concentrate efforts there. Know the competition. Benchmark competitors’ writing styles, content and layouts. Study both top performers and less successful competitors. Then emulate what you think will work for you and move ahead of the competition by innovating. Do what you do best. What type of content do you excel at producing? Build from strengths. Find your tone. This is the way you want to come across on the Web. It means you have to understand your audiences and reframe as needed to reach different readers. At UF, Stevens said, there is technical and academic content that can be reframed for nontechnical readers in shorter and easier-to-understand terms. Discuss your narrative structure. This is not necessarily a story. It’s the pacing of your Web page, including how you highlight info on the page. Write better leads and headlines. These grab readers’ attention and result in more click-throughs. Bright headlines and thumbnail photos add interest. Odd numbers have more resonance with readers. (“29 Tricks for Losing Weight,” etc.) Using colons or asking questions also will attract readers. Look at benefits vs. features. Sometimes how the product or knowledge makes you feel is more important than the particulars. Avoid jargon. Think in terms of what readers will search for on the Web. Use words that are in common conversation, not just technical terms. Be brief. Be respectful of readers’ time. Pare down the text and go for something that will connect with the reader. Being succinct hooks the reader. Make sure content is scannable. Use headers and call-outs throughout the site. This helps both human readers and search engines pick out the content. Readers’ concentration is best at the top of the page. Break things up in chunks and lists and direct to more content. Be clear. Maintain honesty and be candid. Use testimonials and reviews, if appropriate. Be clear on product costs. Reviews can help organizations improve performance as well as build trust. Call to action. This can be the most important thing on a page because it urges the reader to do something. It should be placed well, so people see it clearly in the text. Learn to break the rules. Know when something is unique for you. Always be testing. Make sure things still work the way they did when you started them. Don’t make assumptions about what is reaching readers. Make small changes and observe the differences over 30-60 days. Google Experiments (A/B/N Testing tool in Google Analytics) allows you to make some variations in a page and send users to different versions and track the results to see what performs the best. Convey empathy. Put yourself in the user’s shoes. Ask — formally and informally — for opinions on your content. Users’ comments will go beyond the analytics. Fight for the users. Help make their Web experience better. Editor’s note: This is a shorter version of a post written by Mary Ann Horn for the FPRA Annual Conference blog team. Read the full post here.